Day 1 of my Superhero ABC's starts, of course, with "A." It's a very good place to start! 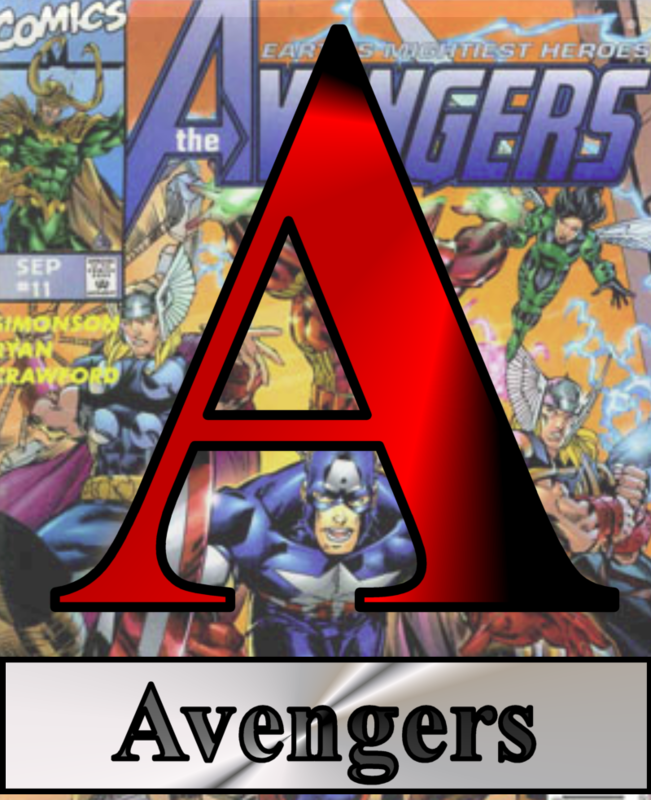 A is for The Avengers. Sorry for those of you expecting Aquaman. Yes, yes. I know. Everyone's excited about the movie. We should be! After all, we get to see Thor, Iron Man, the Incredible Hulk, Captain America, Nick Fury, Black Widow, Hawkeye, and AGENT COULSON on the big screen together! However, I'm not really writing about the Avengers here. I mean...I am, but I'm not. The group started in the 1960s when Marvel wanted to put some of its top-selling characters together. Since the original lineup (Iron Man, Ant-Man, Thor, Wasp, the Hulk, and eventually Cap), the makeup of the Avengers has changed too many times to count. I believe Wolverine and Spider-Man have joined the group from time to time. For the purposes of my Superhero ABC's, the group represents a favorite trope of the comic book world: the superteam. 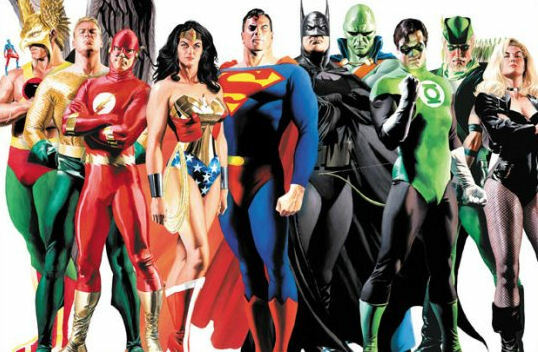 We see this time and time again, although the two most famous groups are Marvel's Avengers and DC's Justice League. Each team boasts varied lineups based on storylines, current comics in circulation, and other factors. From a fan's perspective, there's nothing better than taking popular heroes and throwing them together for a great, epic adventure. The Avengers and Justice League both feed this fantasy to see how the big egos and personalities will play off one another. Group members sometimes clash and disagree on the best course of action before their more heroic instincts kick in. At the end of the day, they usually save the planet together. TOMORROW: "Criminals are a superstitious, cowardly lot..."